Zeffa is an independent media agency specialising in the planning and buying of advertising campaigns across all media formats. Whether clients are companies looking to raise brand awareness, increase sales or drive an immediate response through TV, radio, online, outdoor or newspapers and magazines, Zeffa will make sure that time and again that the entire budget goes on engaging target customers. First of all is having a great team that has bought into the founder’s vision and who execute it with real passion and commitment. They live and breathe zeffa just as much as James does. The company wouldn’t be where it is today without their determination to deliver on the promises they make. James is proud of them all and for what they continue to achieve every single day. Secondly, referrals. Zeffa work in a people industry and if people like what they do, they tell others. If they don’t like what they do, they tell others that too! The team at zeffa has worked hard to build a sound reputation and are to be working with businesses who found the company through a referral. Finally, a solid relationship with the bank. Lloyds TSB have supported zeffa from day one and have there to listen, advise and offer a support network that money just can’t buy. 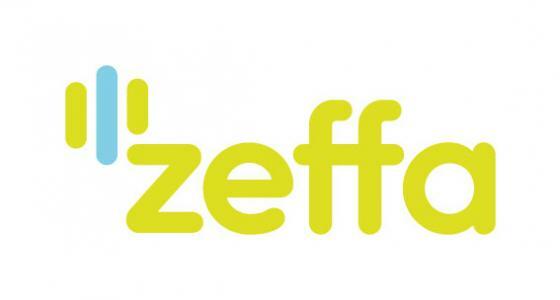 Zeffa consider themselves fortunate to have a strong working relationship with the bank and a relationship manager that understands the pressures that businesses like zeffa face. The goal is to have a network of offices across the UK allowing the company to be closer to where its customers are, fostering relationships with clients and suppliers alike. In the 2012/13 financial year, the plan is to open a 3rd UK office with the Midlands looking the most likely. Zeffa also intend to concentrate efforts on growing new business through the creative agency Hello Starling. The sister agency has been born out of clients telling zeffa that they think design is expensive and Hello Starling’s remit is to demonstrate that good design shouldn’t be a luxury, it’s a necessity!